Happy Autumn everyone! 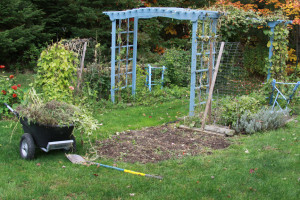 It’s that time of year here in Maine to begin cleaning out garden beds. 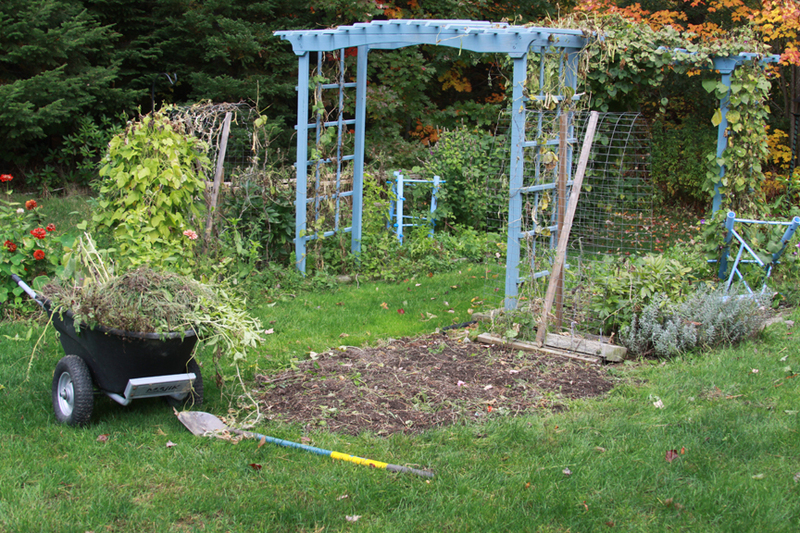 This is also the time to gather and dry herbs, and till the soil for next spring. I will be posting garden happenings over the next week. As always, there are a few zucchini plants still growing while everything else is spent. I think our ancestors created zucchini bread just to find a use for this prolific vegetable that keeps producing from early summer to fall. My family has never been a big fan, but I do have one recipe they will eat without complaint. 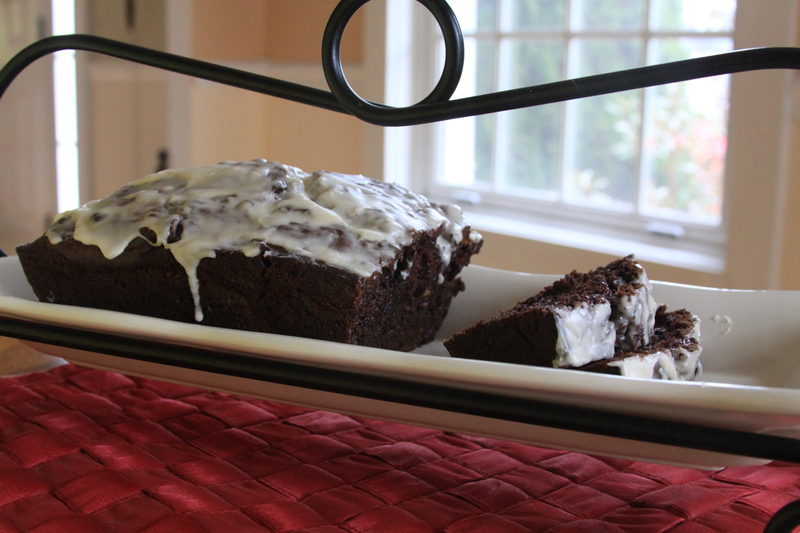 It’s double chocolate zucchini bread. The chocolate hides the zucchini and the bread is moist because of it. Heat oven to 350 degrees and grease two bread pans with shortening or cooking spray. Before you begin, all ingredients should be at room temperature. Sift flour, cocoa powder, baking soda, baking powder and salt into a mixing bowl and set aside. In a separate bowl, blend butter until smooth, add sugars and eggs and continue to blend. Add milk and vanilla until blended. Gradually add flour to wet ingredients and blend until mixed. Add zucchini and chocolate chips (and optional walnuts if you choose) to batter and mix until even throughout. Pour into bread pans and bake for approximately 50 minutes to an hour, or until the toothpick test comes out clean. Remove from pans and cool on wire rack. Mix sugar, vanilla and melted butter. Add warm water by the teaspoon until its a frosting-like texture. This should not be too wet as it will melt. Spread over top of bread while it’s still warm. *This post was edited on 10/19/2015 to include an updated photo and the optional vanilla glaze.